Below you fill find all funeral homes and cemeteries in or near Berkeley. 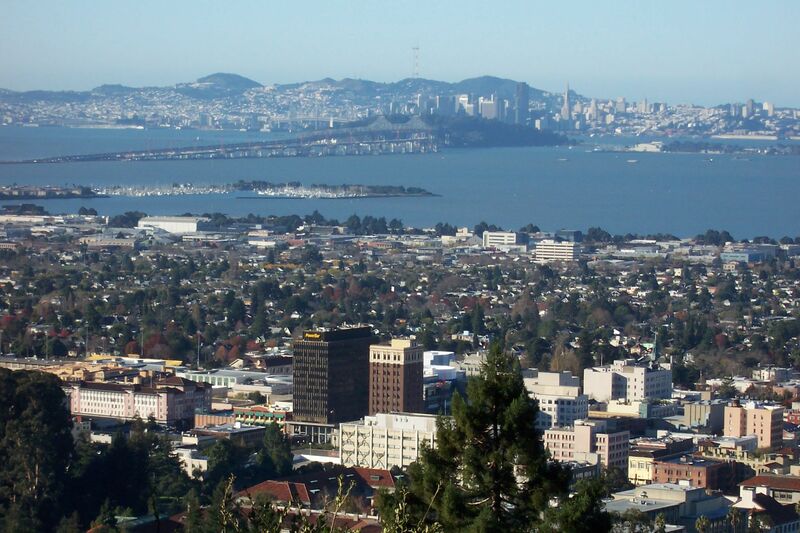 Popular neighborhoods in Berkeley include: La Loma Park, Cragmont, Claremont, Downtown Berkeley, Elmwood, Northside, South Berkeley, Lorin District, Berkeley, California, Southside, West Berkeley, Berkeley Marina, and Westbrae. Suburbs of Berkeley: Kensington, Albany, U C Berkeley, UC Berkeley. Berkeley is also known as: The People's Republic of Berkeley, Berzerkely, Alameda County / Berkeley city, Berkeley, and Calif..
Their current mayor is san Wengraf # Kriss Worthington # Lori Droste. Zip codes in the city: 94701, 94702, 94703, 94704, 94705, 94706, 94707, 94708, 94709, 94710, 94712, 94720. Berkeley has been featured in films like: The Graduate (1967), Bee Season (2005), Hulk (2003), and Harold and Maude (1971). Some of the notable people born here have been: Jane Sibbett (actor), D. C. Douglas (actor and film editor), Rebecca Romijn (actor and musician), Ed Quinn (actor and model), Anastasia M. Ashman (writer and journalist), MC Lars (rapper), and Marcus Maxwell (american football player). 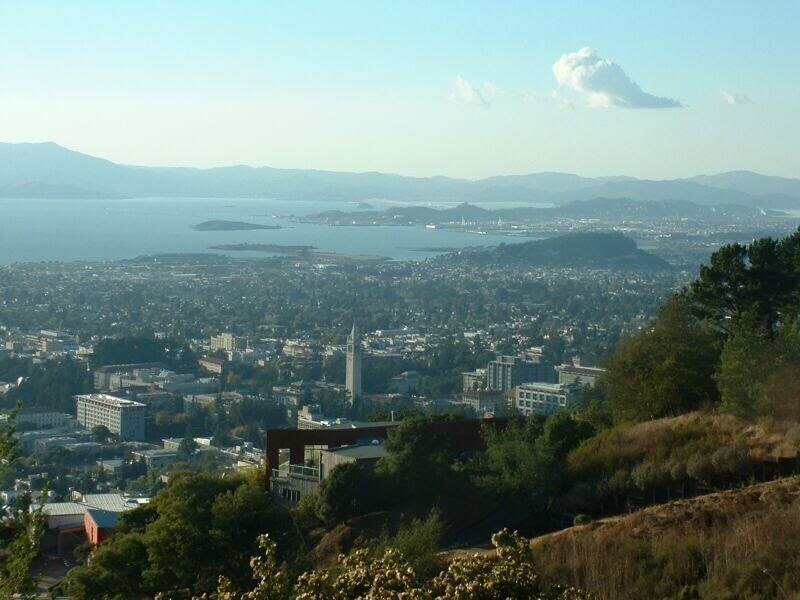 Berkeley is home to the following sports teams: California Golden Bears football and California Golden Bears men's basketball. Berkeley (/ˈbɜrkliː/ BURK-lee) is a city on the east shore of San Francisco Bay in northern Alameda County, California, United States. It is named after the Irish eighteenth-century bishop and philosopher George Berkeley. It borders the cities of Oakland and Emeryville to the south and the city of Albany and unincorporated community of Kensington to the north. Its eastern border with Contra Costa County generally follows the ridge of the Berkeley Hills. Its population at the 2010 census was 112,580.Berkeley is the site of the oldest campus in the University of California system – the University of California, Berkeley – of the Lawrence Berkeley National Laboratory which is managed and operated by the university, and the Graduate Theological Union. It is one of the most politically liberal cities in the United States. It was revealed by The Mail Tribune on March 29th, 2019 that Bonnie Mae Claflin (Botefur) perished in Oregon. Ms. Claflin was 86 years old and was born in Berkeley, CA. Send flowers to share your condolences and honor Bonnie Mae's life. It was revealed on January 11th, 2019 that Yukio Kawamoto passed on in Springfield, Virginia. Kawamoto was 99 years old and was born in Berkeley, CA. Send flowers to share your condolences and honor Yukio's life. It was reported by Klamath Falls Herald and News on December 9th, 2018 that Gerald Wayne Sayles died in Klamath Falls, Oregon. Sayles was 88 years old and was born in Berkeley, CA. Send flowers to express your sympathy and honor Gerald Wayne's life. It was revealed by Deseret News on October 28th, 2018 that Lauren Jennifer miss McCluskey died in Salt Lake City, Utah. McCluskey was 21 years old and was born in Berkeley, CA. Send flowers to express your sorrow and honor Lauren Jennifer miss's life. It was revealed by Stevens Point Journal on October 7th, 2018 that Lorelei Hilgart (Johnson) passed away in Marshfield, Wisconsin. Ms. Hilgart was 92 years old and was born in Berkeley, CA. Send flowers to express your sympathy and honor Lorelei's life. It was disclosed on August 19th, 2018 that Grace Roberts (Dancosse) died in Berkeley, California. Ms. Roberts was 88 years old and was born in Manchester, CT. Send flowers to express your sympathy and honor Grace's life. It was disclosed by The Mail Tribune on July 26th, 2018 that Wilbur A Johnson passed away in Riverbend, Oregon. Johnson was 94 years old and was born in Berkeley, CA. Send flowers to express your sympathy and honor Wilbur A's life. It was reported on July 10th, 2018 that Susan O'Hara passed on in Berkeley, California. O'Hara was 80 years old. Send flowers to express your sorrow and honor Susan's life. It was written on May 18th, 2018 that Davida Elizabeth Coady (Taylor) died in Berkeley, California. Ms. Coady was 80 years old. Send flowers to share your condolences and honor Davida Elizabeth's life. It was revealed by The Advocate on May 10th, 2018 that Jeffrey Allen Steele died in Madison, Ohio. Steele was 71 years old and was born in Berkeley, CA. Send flowers to express your sympathy and honor Jeffrey Allen's life. Remnants of their existence in the area include pits in various rock formations which were used to grind acorns from oak trees, and a shellmound now mostly leveled and covered up along the shoreline of San Francisco Bay at the mouth of Strawberry Creek. However, the legal title to all land in the City of Berkeley remains based on the original Peralta land grant. Other artifacts were discovered in the 1950s in the Downtown Berkeley area during the remodeling of a commercial building, near the upper course of the creek. The Peraltas' Rancho San Antonio continued after Alta California passed from Spanish to Mexican sovereignty as a result of the Mexican War of Independence. Most of the portion that is now Berkeley was the domain of his son Domingo, the rest being held by his son Vicente. The official website for the city of Berkeley is https://www.cityofberkeley.info/Home.aspx. Funerals in Berkeley, CA on Yahoo! Local Get Ratings & Reviews on Funerals with Photos, Maps, Driving Directions and more. We work with local florists and flower shops to offer same day delivery. You will find budget sympathy flowers in Berkeley here. Our funeral flowers are cheap in price but not in value.